When students consider fashion, they typically think of Hilfiger or Versace, maybe the Gap - but Gray’s Anatomy? Students learn about body systems by drawing them on t-shirts which they can then wear. Science teacher Ric Parlier designed this anatomically correct learning tool to excite students about anatomy study. 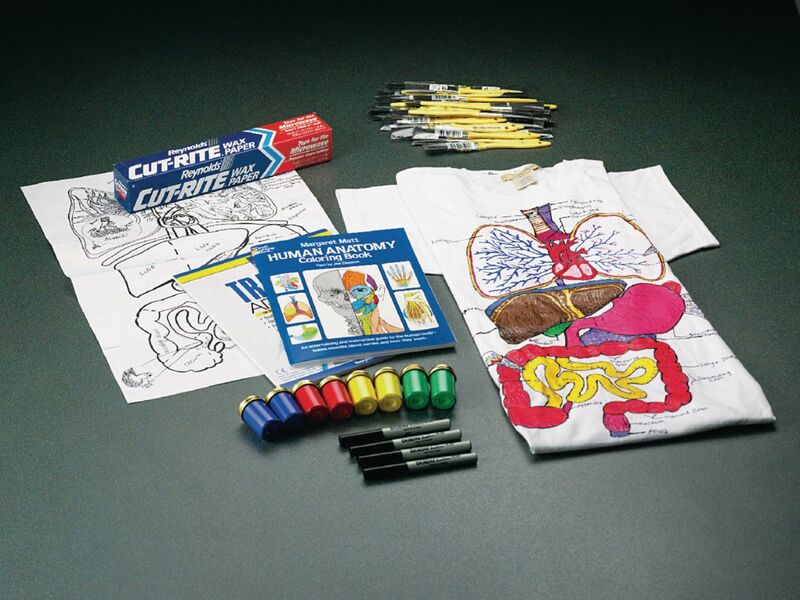 Includes materials for seven student groups, human anatomy coloring book for reference, five fabric paints (blue, green, red, yellow), and instructions. T-shirts not included.